Our featured Timeshare Resale agent for March 2015 is Clark Rowley-Chaney with SmartChoice Timeshare Resales/Luxury Residence Club Resales. Clark’s office is in Scottsdale Arizona, but there is a sister location at the Four Seasons Aviara in California. Smart Choice was one of our early supporters when we started the business in 2004, and Clark and his team later began sending Quality some overflow Four Seasons deeding transactions when they needed assistance with family deeding, owners deeding to relatives or family trusts, and we’ve been handling those for his company as well as receiving referrals from the Owner Services Department at the resort ever since. Clark has been in the timeshare world for 29 years, and he has held his Arizona Real Estate License since 1993. Judy Rulli, the President of SmartChoice Timeshare Resales actually hired me at the age of 21 to work on the front desk at the Scottsdale Camelback Resort, as she was then the General Manager. I grew from there into the management side of the business, working in all aspects of the industry including development, sales and marketing”. Clark later became Vice President of Sales for Pro Management, a Timeshare Management company. When asked about his specialty resorts, Clark replied, “SmartChoice Timeshare Resales is committed to our area of expertise with Starwood (both Westin and Sheraton) in Arizona and Hawaii, Marriott in Arizona, California and Hawaii along with Hyatt in all three states. Luxury Residence Club Resales, which is a division of SmartChoice was exclusively branded to handle the Four Seasons Residence Clubs at both Four Seasons Residence Club at Troon North in Scottsdale and the Four Seasons Residence Club Aviara in Carlsbad, California, in which we are the authorized resale brokers”. 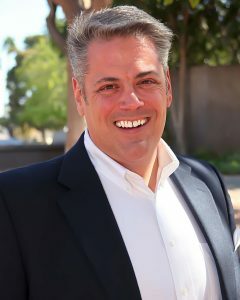 Clark is passionate about every aspect of Timeshare, serving ARDA (The American Resort Developers Association), in Arizona first as Vice-Chair in 2002, and was later promoted to Chairman in 2011, Clark is also the newly elected President of the Licensed Timeshare Resale Brokers Association (LTRBA). It is and has always been his mission to educate consumers about timeshare fraud and timeshare scams, in order to avoid them. Also on the flip side, he enjoys educating timeshare owners on the many benefits of their resort ownership usage. “The bottom line is I want them to understand that even selling their timeshare should be a good experience”. Clark is also currently a lobbyist for the state of Arizona working with Legislators dealing with timeshare issues, as part of his role as Chairman of ARDA AZ. He was the 1999 President of the Arizona Chapter of HSMAI (The Hospitality Sales and Marketing Association International), and also sat on the HSMAI International Board of Directors. He was chair of the Education Committee for the ARDA Foundation for 7 years working to increase education and accreditation to members of ARDA. Clark’s dedication and excellence has been recognized with various awards over the course of his career. “I have won several awards for my positions in Resort Management including a medalist for the ARDY’s, ARDA’s annual awards. I was also awarded the 2012 ARDA ACE Award for Philanthropy, for my contributions over 14 years of work with Christel House International, founded by the former owner of RCI, an charitable organization which improves the lives of children in impoverished nations. (See website for more information, www.ChristelHouse.org) . I also was awarded Sales and Marketing of the Year award by HSMAI”. Clark’s personal business philosophy speaks for itself, “I treat each and every one of my clients as if they were the only client I have, and treat them with respect and honesty. I truly believe that your integrity is the most you have to offer and will even forego a sale if I truly do not feel it will benefit the client”. Clark has traveled the world extensively, including Europe, Africa, Asia and he has braised the northern parts of South America, staying in a majority of timeshares along the way. He has always enjoyed traveling and meeting new people, experiencing new and varied cultures. In his down time (where does he find time for that? ), Clark enjoys reading, especially historical and classics “I am an avid tennis player, and truly enjoy family time. I also enjoy traveling and have an intense passion for philanthropic work to give back to those in need, or be helpful”.